Gather your materials. 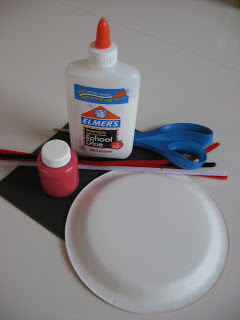 You will need some black construction paper, a paper plate, some red paint, glue , scissors and a pipe cleaner. 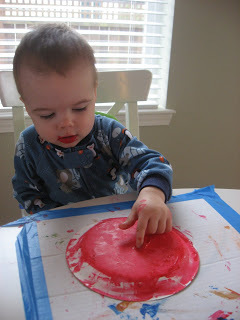 Have your child paint the underside of the paper plate, we chose to finger paint and if you look close at my son’s lips, he taste tested the paint too. 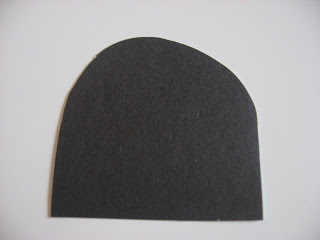 While your child is painting, using the black construction paper to make a head. 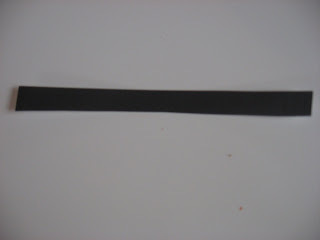 Cut out some spots and thin rectangle. 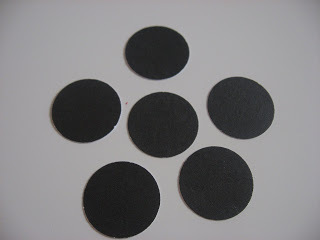 I used a paper punch for the spots but you can draw circles and simply cut them out. Glue your head and spots on . Poke two small holes in the head and thread the pipe cleaner through. 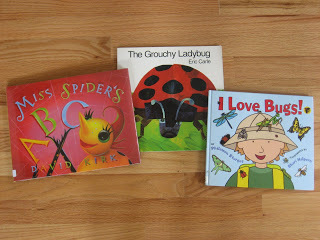 ” The Very Grouchy Ladybug”by Eric Carle is more than a cute book about a crabby bug. The Lady bug is looking for a fight and each hour she finds a bigger and bigger animal to fight with until she is unintentionally slapped by a big whale’s tail! I loved using this book to teach telling time, as there is a picture of an analog clock on each page. I would use a play clock and as I read each page ask one child to come and set our classroom clock. 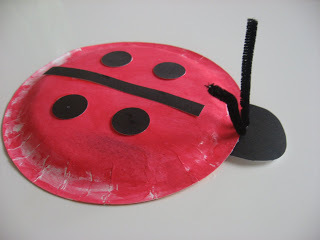 Also don’t be put off by the fact that the lady bug tries to pick fights, no animal takes her up on her offer and you can spin that into a great lesson about not giving into people who are trying to pick fights.” Miss Spider’s ABC” by David Kirk has the most vivid and beautiful illustrations. The text is simple and flows well but the value is in the illustrations, they cover all sorts of bugs and are so bright that they will appeal to your child! ” I Love Bugs” by Phileomon Sturges is a rare find. 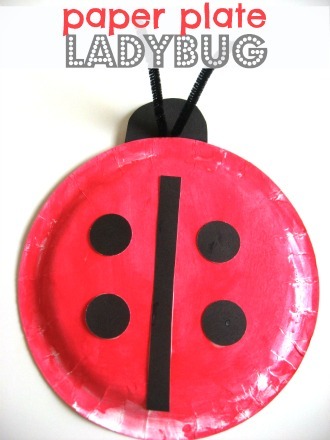 It is listed as fiction but I would consider it as non fiction, as it really is a great factual book about bugs for older toddlers/ young preschoolers. 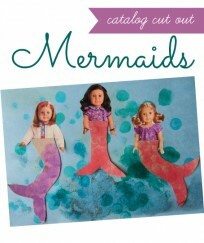 It is really hard to find simple, short books that include facts and this one is perfect. It doesn’t go into the life cycles of butterflies or how lightning bugs light up, but it does use descriptive words with bright and charming illustrations. 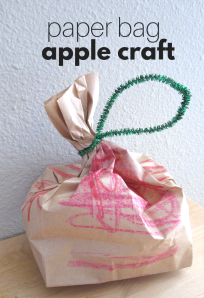 Great for the under 3 crowd, and useful for older kids too! Next Post: Letter Of The Week ! H h! would love for all her kids to have the chance to have you as a mom! Your children are blessed!!! 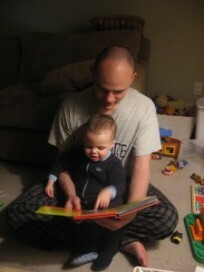 I am using this book this week as we focus on Eric Carle books. Thanks! 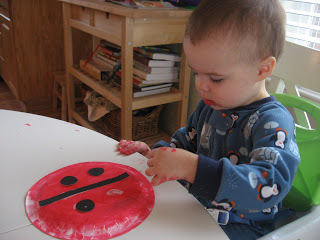 I love this and that your son taste-tested the paint. So cute!